New York Bus Crash: Lawyers at Jazlowiecki & Jazlowiecki have filed a lawsuit on behalf of over 36 bus crash victims after a bus accident in North Hudson, New York in July of 2014. The bus was traveling to New York City from Canada, when the bus rolled over on I-87 killing one passenger, and injuring dozens of others. Lac-Megantic Train Disaster: Lawyers at Jazlowiecki & Jazlowiecki represent dozens of victims from the tragic Lac-Megantic Rail Disaster that occurred July 6, 2013 in Quebec, Canada. The train accident occurred when an unattended 74-car train carrying crude oil ran away and derailed, resulting in the fire and explosion of multiple tank cars. As a result of the train crash, forty-two people were confirmed dead, with five more missing and presumed dead. More than 30 buildings in the town’s center, roughly half of the downtown area, were destroyed. Settlement talks are currently underway. Medical Malpractice Paralysis: Jazlowiecki & Jazlowiecki obtained a multi-million dollar settlement for a Hartford woman in a medical malpractice action against a local hospital after a standard procedure was negligently performed and left the victim paralyzed. Propecia MDL Lawsuit: The first Propecia Lawsuit in the United States was started by Zak Jazlowiecki of Jazlowiecki & Jazlowiecki against the pharmaceutical company, Merck; representing hundreds of victims suffering the permanent adverse side effects of the popular hair loss drug. Alabama Bus Crash: Jazlowiecki & Jazlowiecki obtained a six-figure settlement for a young woman who was injured in a Greyhound bus accident in Alabama in 2012. New Jersey Bus Crash: Jazlowiecki & Jazlowiecki currently represent victims who were hurt in a bus accident in Wayne, New Jersey and other victims who suffered injuries in a similar bus accident in Philadelphia, Pennsylvania. New York Bus Crash: Jazlowiecki & Jazlowiecki along with a New York firm, represented the Estate of a young woman who tragically lost her life when the bus she was travelling in crashed on I-81 in Lake George, NY. A confidential settlement was reached in 2015. Herniated Disc Injury: Attorney Zak Jazlowiecki obtained a confidential six-figure settlement for a client with a herniated disc resulting from a reckless motor vehicle accident in Boston, Massachusetts. Horse Kick Injury: Jazlowiecki & Jazlowiecki obtained a six-figure settlement for a woman who suffered injuries as a result of a horse kicking accident in New York. $36,000,000.00 Settlement: A bus crash in New York injured 20 Canadian Citizen Passengers from the Sun Parlour female hockey team of Windsor, Ontario, and killed 4. The cause involved the bus driver falling asleep and rear-ending a semi-truck; splitting the bus in two. Edward Jazlowiecki represented four of the victims including the Estates of the deceased for this crash. He and 2 other law firms settled the case for thirty-six million dollars ($36,000,000.00). Traumatic Brain Injury (Nail Gun): A Connecticut construction worker who suffered a traumatic brain injury (“TBI”) when a Stanley-Bostitch nail gun double fired causing the plaintiff to lose control of the gun. His injuries included severe brain injuries, left-sided paralysis and he will require lifelong supervision, care and medical attention. Following a 6 week jury trial. the jury returned a verdict that awarded the plaintiff 3.4 million dollars ($3,400,000.00) against Stanley Bostich & Home Depot. Handicap Bus Accident: Jazlowiecki represented a handicapped Maine resident who came to Connecticut to attend the Durham Fair. He was picked up by AA transportation in a Handicap-enabled shuttle bus designed to accommodate his 3 wheel scooter. When the bus took a left turn, his scooter tipped ejecting the plaintiff, causing him serve injury. Rodger Lehr chaired the jury trial and won a plaintiff’s verdict in excess of $400,000.00. Multi-Million Dollar Settlement (Bus Accident): A tragic bus accident occurred in Western New York that resulted in more than 40 people injured and 5 fatalities. Indications were that the bus driver, after staying awake gambling for more than 38 straight hours, fell asleep at the wheel while transporting the victims. Jazlowiecki & Jazlowiecki represented 7 injured victims, the deceased and their estates resulting in a multi-million dollar settlement for the victims which cannot be released due to a confidentiality agreement. Scranton, PA Bus Accident: Jazlowiecki & Jazlowiecki represented 14 people in the crash of a Greyhound bus traveling on Route 380 Just north of Scranton, PA. The bus originated in NYC and was heading to Toronto, Canada. The bus driver fell asleep at the wheel in the early morning hours causing the bus to crash and roll over – injuring 42 passengers, mostly students from the U.S and Canada. Road and weather conditions were ruled out as a contributing factor and the driver has been cited for careless driving and traveling outside of roadways laned for traffic. Indications were that the driver fell asleep. A Confidential Settlement was reached. Fatal Motorcycle Accident: Jazlowiecki & Jazlowiecki represented the Estate of a motorcyclist who was involved in a collision in Fall River, MA when a car crossed into his lane, killing him instantly. The case was settled for the Insurance Policy Limits. Fatal Car Accident: Representing the estate of a man of killed in Middlefield, CT when his car was hit head on by a teenage driver driving on the wrong side of the road, causing a massive crash and fire. The case was settled by Mediation. VA Tech Shooting Massacre: Attorney Edward Jazlowiecki represented a Roanoke, VA family whose son, a sophomore, was killed on April 16, 2007 in the Virginia Tech Massacre, in Blacksburg Virginia. The case was settled for the maximum allowed by Virginia state law. Construction Accident: Jazlowiecki & Jazlowiecki represented a construction worker from CT who was severely injured in a fall from scaffolding upon which he was working in the town of Warren, MA due to lack of fall protection and improper installation of a beam. The worker suffered severe spinal injuries resulting in permanent paralysis from the waist down. The lawsuit has been settled and includes a confidentiality agreement against disclosing the seven-figure award. Motorcycle Accident: A motorcycle accident where a pickup truck pulling a landscaping trailer pulled out in front of the motorcyclist. The severely injured rider won a settlement for $1,037,500.00. Products Liability: A homeowner was represented by Edward A. Jazlowiecki in a products liability claim when he attempted to put together an “easy to assemble” metal shed that ended up having “guillotine like” edges exposed to the assembler. In the course of putting the shed together, the man nearly severed his arm. Inadequate instructions and safety precautions by the manufacturer led to a settlement over $600,000.00 for the victim. Dram Shop Law Accident: The firm represented the estate of a 16 year old that was killed instantly in Connecticut by a drunk driver. The case was settled for the Policy Limits including a Dram Shop claim against the bar who had last served the drunk driver. Greyhound Bus Accident in Maryland: A Greyhound bus crashed in Baltimore, Maryland, on Route I-395 injuring about 22 people onboard. Attorney Jazlowiecki represented one of the passengers who were seriously injured. Their claims were settled for an undisclosed amount. These are just a small sample of the excellent verdicts and settlements obtained by the lawyers at Jazlowiecki & Jazlowiecki. 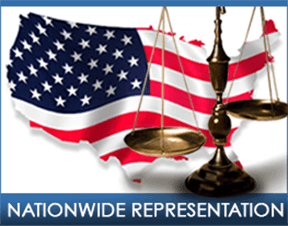 Click here to contact Jazlowiecki & Jazlowiecki to see if they can help you on YOUR case. Evaluation of your case is always free. You will speak directly with an attorney. Jazlowiecki & Jazlowiecki has always represented private individuals hurt in motor vehicle accidents, industrial accidents, medical malpractice and pharmaceutical cases. Edward A. Jazlowiecki has never, in his entire career, represented an insurance company, a business or other entity which caused injury to an individual and he has never represented anyone who has caused such injury to a private citizen. Disclaimer: These verdicts and settlements are actual results by Jazlowiecki & Jazlowiecki. Every case is different, however, and the above cases do not guarantee that you will have a similar result. Compensation depends on many different factors. For more details, please do not hesitate to call our Office.